Two months before Billy Graham held the first of his famous crusades in Sydney, 19 fresh-faced fellows were ordained in St Andrew’s Cathedral on February 22, 1959 by Bishop William Hilliard. 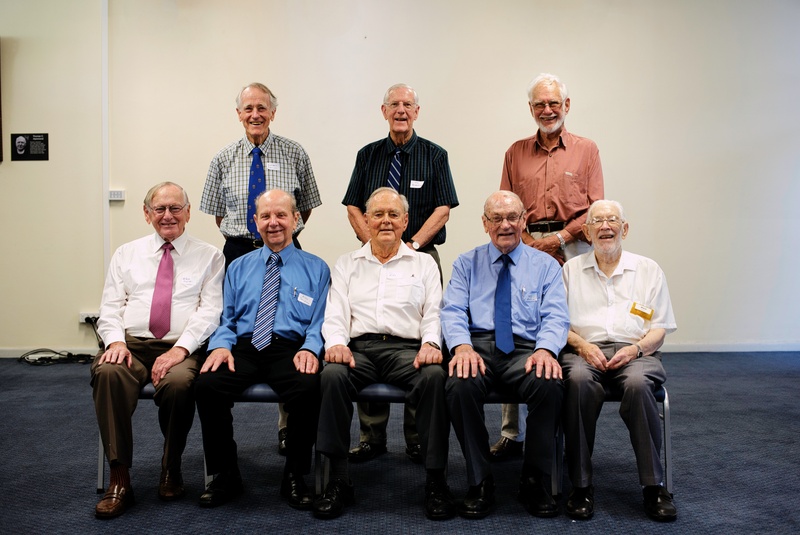 Last month eight of these men, along with their wives, were able to return to Moore College to celebrate their 60th anniversary with a special reunion. They lunched, toured the campus and celebrated communion together, with plenty of time to reminisce and hear about each other’s work for the Lord. “It was great fun! Absolutely great fun,” said reunion organiser, the Ven Dr Vic Roberts. “Almost none of them had been back to the college to see the new complex – it was totally new to them, so it was a revelation. Of the men ordained in 1959 three are now with the Lord, while a number of others were prevented from attending for health reasons. Not too surprising, given that the youngest of them is 84 years old. Among their ordination group was the college’s senior student for 1958, future bishop Donald Cameron; academic and prolific writer the Rev Dr Ward Powers; two archdeacons (Vic Roberts and Alan Donohoo), and numerous missionaries, chaplains, lecturers and servants in whatever place God put them. Four others from their college year were ordained in the Armidale Diocese (including future bishops Peter Chiswell and Ray Smith); three were ordained in New Zealand and another two in Tanzania. In their final year at college there were also four well-remembered students from India, Japan and Tanzania: the Rev M.M. Thomas, the Rev Abraham Thomas, the Rev Timothy Yamamoto and the Rev Gresford Chitemo. These men, already ordained in their home countries, were given bursaries by the college to study for one or two years, with expenses provided by the Church Missionary Society.